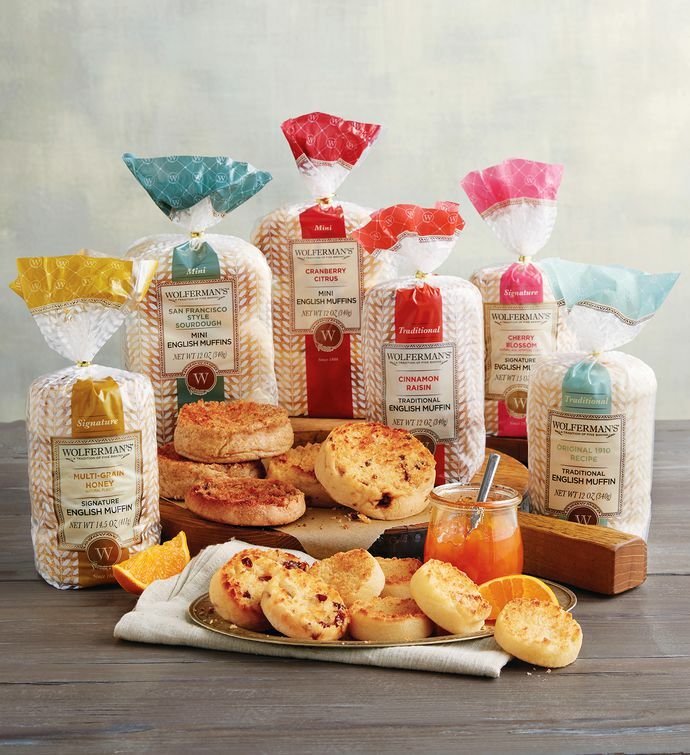 Explore the variety that makes Wolferman's® English muffins stand out from from the rest. Discover the convenience of three different sizes and an array of delicious flavors. Our traditional and mini English muffins get the same attention to taste and quality as our extra-thick signature English muffins. Stock up with all three sizes and enjoy these toasty treats for breakfast and beyond. Kosher.